One version included this addition in brackets: “ praying perseveringly.” To “persevere” is to: “persist, continue, carry on, go on, keep on, keep going, struggle on, hammer away, be persistent, be determined, see/follow something through, keep at it, press on/ahead, be tenacious, stand one’s ground, stand fast/firm, hold on, go the distance, stay the course, plod on, stop at nothing, leave no stone unturned, hang on, plug away, stick it out, hang in there” (google.com). 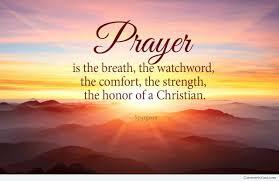 We must pray without ceasing! Amen and Amen!